Holy crap! I can't believe we're finally tackling the mudroom! It's bad. Real bad. Don't believe me? The mudroom is right off the kitchen and has two doors that go outside. It's definitely the ugliest room. The washer and dryer are there, and its also a utility room because of the water heater and fuse box. I have got to find a way to hide those things! When we moved in we painted the walls white. There was no point in painting the cabinets because i knew i would rip them out eventually. Those cabinets are original to the house! Crazy! The first thing we did was rip those suckers out! During the demo process we found the original vinyl floor in the house. SO. BAD. After removing the old shelves we put beadboard on the wall that will be the back of the closet. Then we secured these Ikea shelves to the wall. Our powder bathroom is currently torn apart so we need to finish that up first. Trent made a point today when he said "THIS IS NOT A GOOD TIME. WE'RE HAVING EVERYONE OVER FOR THANKSGIVING AND WE HAVE ONE TOILET. TURKEY. CRANBERRY SAUCE. POTATOES. COFFEE. ONE TOILET." I'm planning on going a different direction with this room... farmhouse! 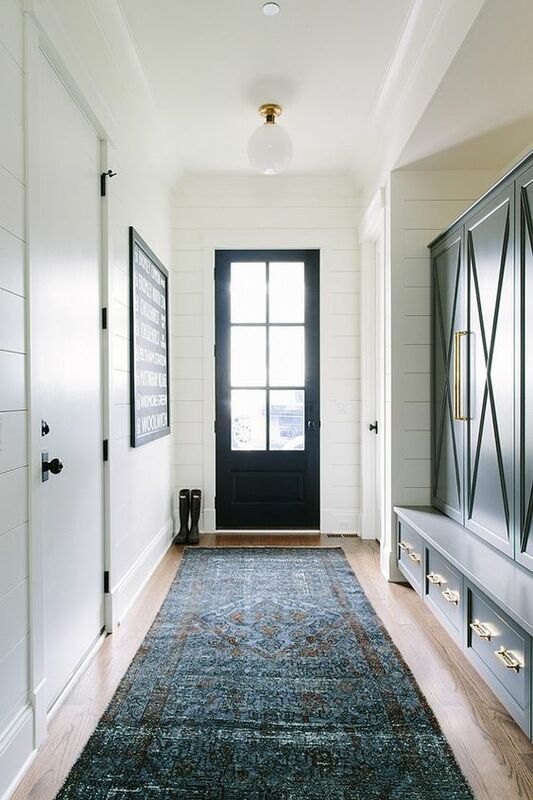 Here are some mudrooms i'm using as inspiration. 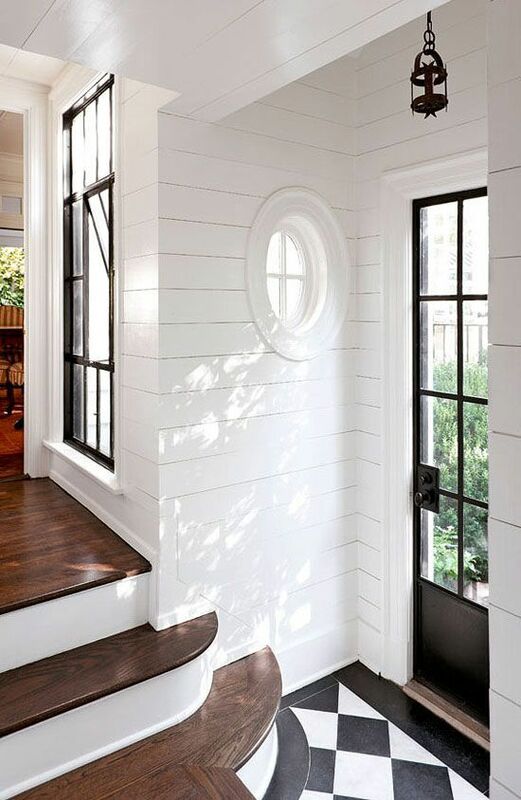 I love the white shiplap and black accents. A perfect representation of modern farmhouse. We still have a long way to go but i think it already looks better! What do you think?